Armorgard was first established in the late 1980’s as a general steel fabrications business, specialising in sheet steel manufacturing. As time progressed, we have tailored the business to manufacture specialist equipment for locking away tools, equipment and hazardous substances. We have evolved further, widening our range and establishing products that work to assist construction workers improve efficiency on construction sites. Our goal is to continue progressing forward in building a unique range of secure storage and material handling products for the construction industry, that work to improve efficiency for workers. Armorgard are a ‘customer focused’ business, continually working back from the marketplace, we understand the requirements of those that are ‘on the tools’ and we are working hard to establish solutions for the current demands. Our products are manufactured to a high standard and every product is passed through a strict quality control procedure, to ensure that we maintain a good reputation and keep to the Armorgard standard. With our large stock holding, we can satisfy our customer requirements quickly, with approximately 92% of our products being despatched on a Next Day delivery. 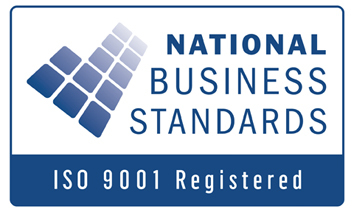 Armorgard are committed to quality and customer satisfaction, recognised by National Business Standards as ISO9001 registered. Armorgard, the UKs leading equipment and tool storage brand, has launched a new, sliding, tool storage drawer system for vehicles.